Do you need to develop/submit a safety program to ISNetworld®? 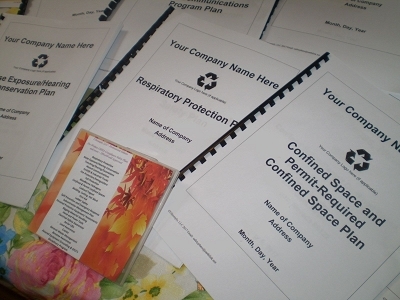 Each plan has an average of 14 pages of regulatory compliance. Plans will be sent priority mail on a CD (Free), or via e-mail. Each available in Word format for easy and simply editing to meet your facility's requirements. Please note: No refunds available for this purchase. Also, please allow 24 hours for the safety plan package to be e-mailed to you, if you choose the e-mail option.